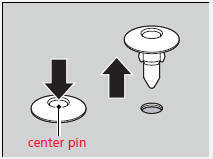 Press down the center pin until it clicks to unlock it. 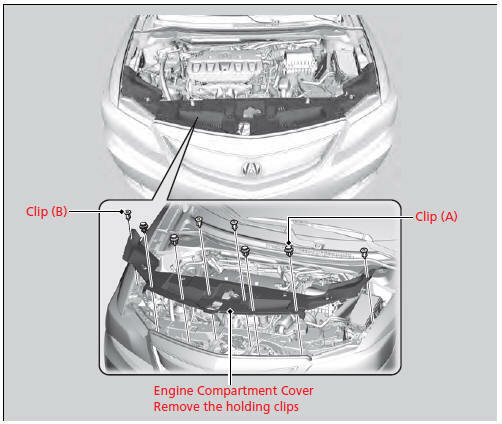 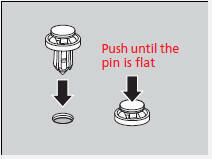 Push the center pin back to lock the clip. 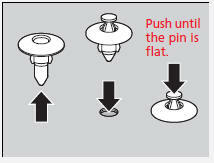 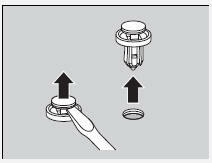 Then, insert the clip into the hole and press on the center pin until it is flat.